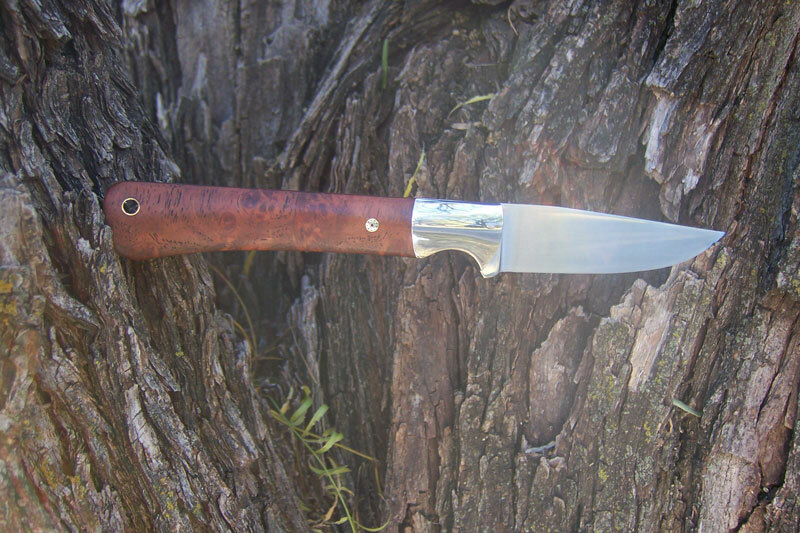 This knife is my Spicewood Special model, but a little longer than usual at 8 1/4 OAL with a 3 1/2 clip point blade. 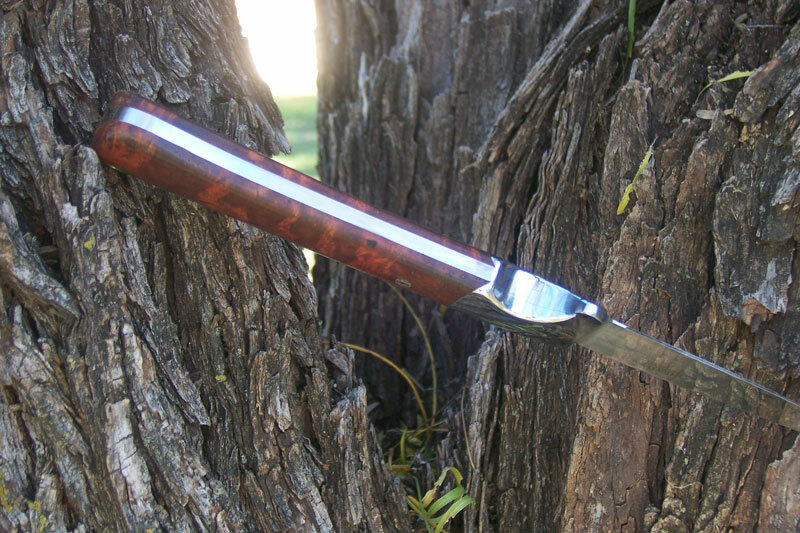 The blade is 1084 carbon steel heat treated to RC 60 with a 1000 grit satin finish. 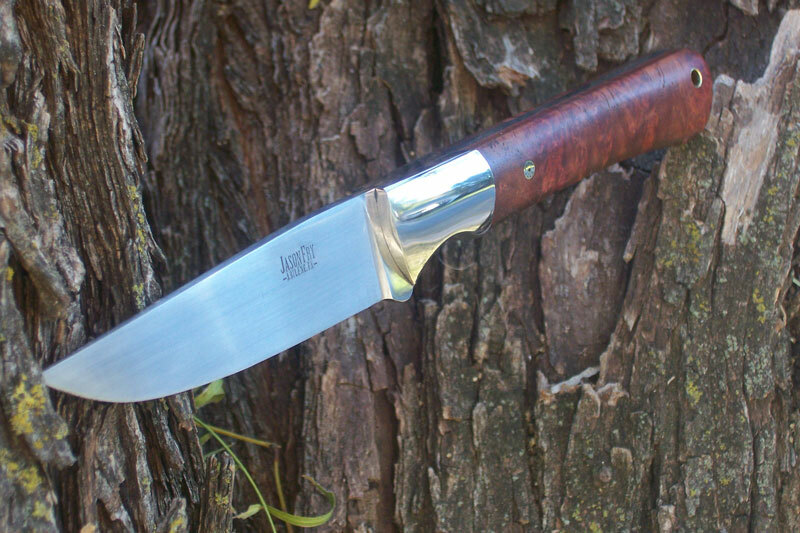 The dovetailed bolsters are 416 stainless, mirror polished, and you’ll never find the two stainless pins. 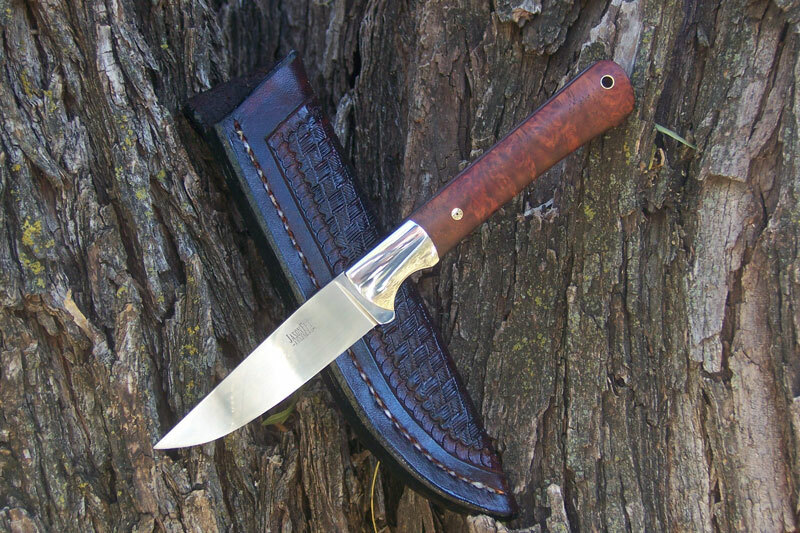 The handle is amboyna burl with a mosaic pin, and the sheath is tooled Wickett and Craig leather. 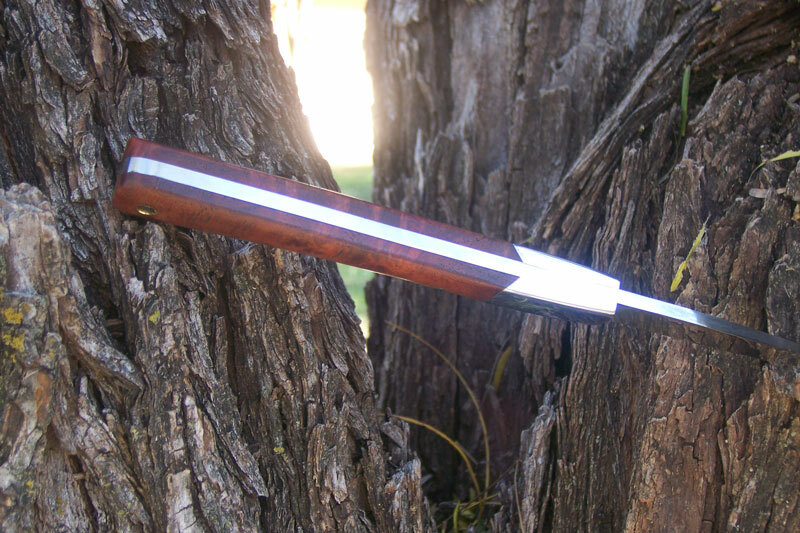 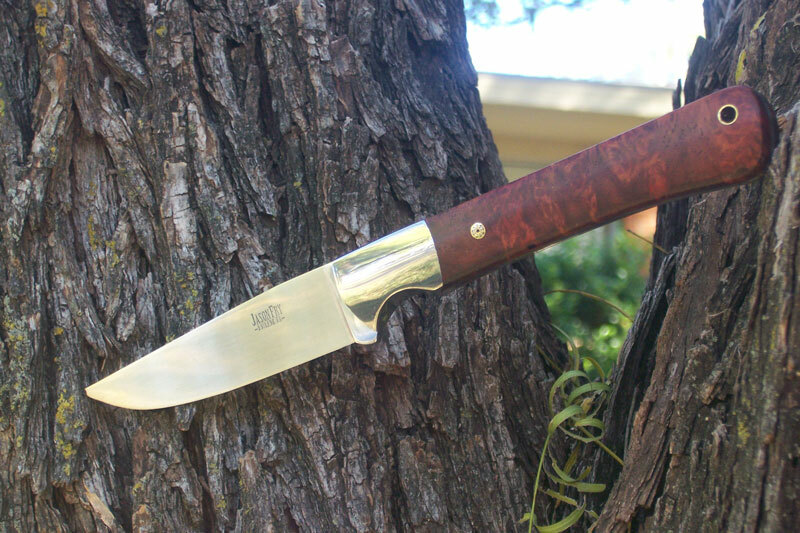 This knife was featured in the March 2013 issue of Texas Monthly magazine.